Early childhood is widely recognized as being a critically important period for establishing strong foundations for learning and wellbeing throughout life. Early childhood professionals thus have a tremendous responsibility in creating optimal learning environments, assessing children appropriately, and designing learning experiences to foster children’s development and learning. The certificate programs in early childhood education can provide experienced teachers of young children, teachers new to teaching kindergarten and primary, and other early childhood professionals with knowledge and skills to enhance their professional practice with young children. Recognizing the value of teachers with specialized knowledge of early childhood development and developmentally appropriate practices, some school districts require kindergarten teachers to take courses specifically focused on the kindergarten year, and for grade one teachers to take courses in early childhood education. The Certificate in Enhancing Early Learning does NOT qualify persons for a provincial license as an early childhood educator to teach in preschool or daycare programs. 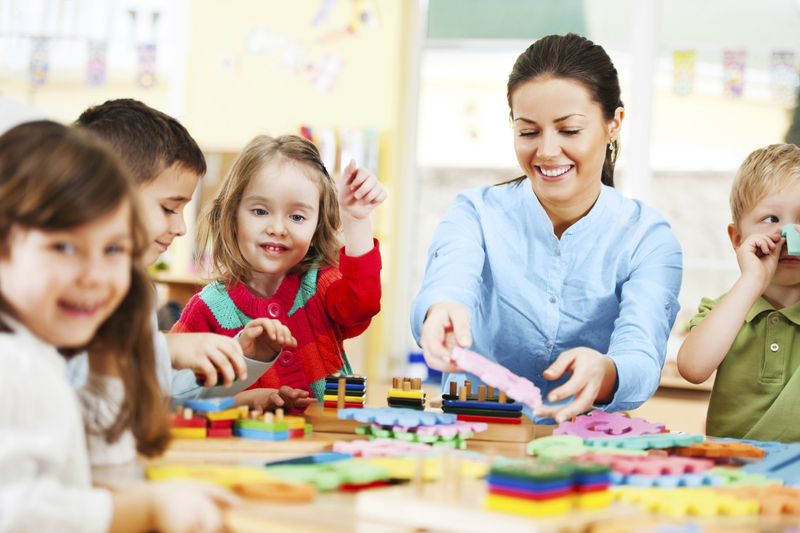 A license to work in preschool and daycare settings as a qualified early childhood educator is granted by the Ministry for Children and Family Development. Often, this license is obtained after completion of an Early Childhood Education program in one of the community colleges, university college, or through the continuing studies programs of some local school district, and 500 hours of supervised field experience. In addition to the master’s program, MET offers two graduate-level certificates. Certificate programs can be completed in as little as one year and require a minimum of two core courses and a maximum of 3 electives. All courses are online. MET Graduate Certificate in Technology-Based Distributed Learning – The TBDL certificate is directed at anyone concerned with managing, designing or tutoring online or face-to-face technology-based courses for post-secondary or adult learners. MET Graduate Certificate in Technology-Based Learning for Schools – The TBLS certificate is directed at anyone concerned with managing, designing or tutoring online or face-to-face technology-based courses for school-aged students. plan units of study collaboratively with other teachers; teach information literacy to students; develop curricula that integrates information literacy and technology; work with teachers to improve literacy learning; select quality resources and manage collections that support the curriculum, lifelong learning, and independent reading. The diploma and certificate programs incorporate course work in educational leadership, inquiry-based learning, literacy, collaborative planning and teaching, information literacy, curriculum design and implementation, multi-media resources, and learning technologies. This program is designed for professionals wishing to acquire new skills or to build on their current knowledge base regarding adult learning. The Diploma in Adult Learning and Education is particularly appropriate for those who do not want to pursue a graduate degree but are interested in developing skills and knowledge in organizing, conducting, evaluating or administering programs for adult learners. Typical students range from business people to government workers to healthcare professionals to community organizers to independent consultants and other professionals whose practice, in some way, includes designing and running learning experiences for adults. 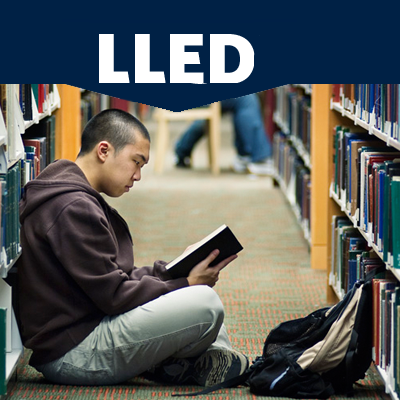 UBC offers a 30-credit Diploma in Education – Teacher-Librarianship. This diploma meets all the course recommendations of the Canadian School Library Association. Students have the option to complete their Diploma entirely online. 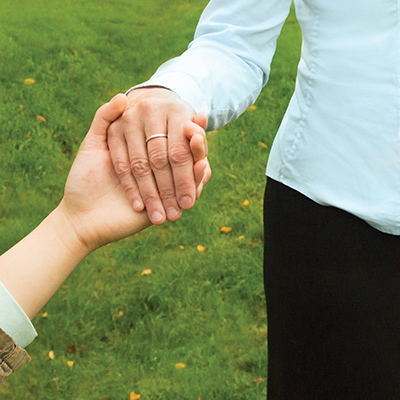 The Diploma in Education – Teacher-Librarianship offers flexibility in course selection. Students are encouraged to take the required courses in any order, and at their own pace. All 30 credits must be completed within five years from the commencement of the first applicable course. If students begin their coursework as an unclassified student, they may advance their UBC coursework to a maximum of 18 credits (or, if a student has studied outside of UBC, 12 appropriate non-UBC credits) into their Diploma program. Please note that any transferred credits must also be within the five year limit. 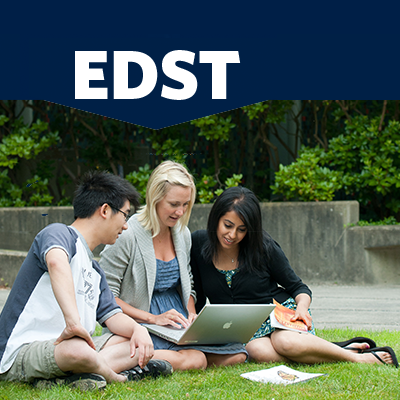 The University of British Columbia, in cooperation with partner universities in South Africa (University of the Western Cape), Sweden (Linköping University), and Australia (Monash University) offers an innovative online, coursework-only Master of Education (MEd) in Adult Learning and Global Change (ALGC). Students proceed through the two-year, 30-credit program as a cohort drawn from the four participating institutions. Instructors are also drawn from these universities; students will benefit from a truly international staff. Graduate programs in Early Childhood Education are designed for educators and child care professionals who wish to explore issues in early childhood research, theory, and practice. Early childhood graduate programs are interdisciplinary, faculty-wide programs that consist of core courses in early childhood education (ECED) and related courses in other departments. Key areas of focus include: theorizing early childhood and early childhood education, research and research methodologies, issues in early childhood curriculum, instruction, assessment and evaluation, and cross departmental inquiries in early childhood education. A 30-credit fully online cohort program for early childhood practitioners in the Lower Mainland and all surrounding districts. The MEd in Early Childhood Education program, offered online, includes opportunities for participants to inquire into their professional practice with young children. This engaging graduate program offers opportunities to explore issues in early childhood research, theory, and practice. A part-time fully online graduate program offered by leading UBC Science Education researchers to working professionals in Canada and beyond. 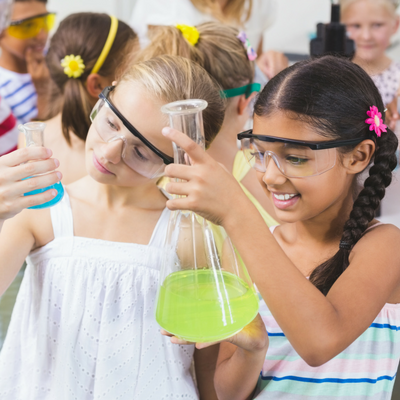 The MEd in Science Education is ideal for those seeking to make a difference in teacher education; learning and teaching at the elementary, secondary and post-secondary levels; industry; teaching and research institutions; government and private sector bodies; museums; outdoor settings and other science-based organizations. 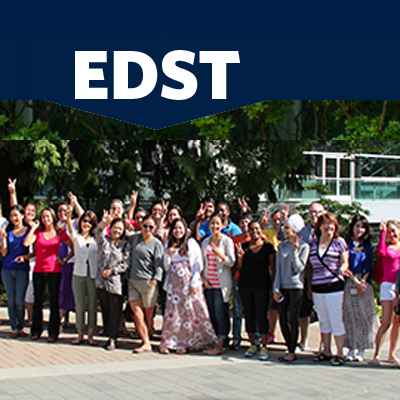 The Online Master of Education in Teaching English as a Second Language (MEd in TESL) is a new graduate-level cohort program offered through the Department of Language and Literacy Education (LLED), in the Faculty of Education, at The University of British Columbia, Vancouver campus. This multidisciplinary program, offered by the Faculty of Education, is a collaboration among multiple departments. Learn more about Faculty-wide graduate programs administered by the Office of Graduate Programs and Research (OGPR). Skilled Educators create rich learning environments where students are introduced to new ideas, develop new skills, and expand their perspectives. The informed use of technology can engage students in new experiences and create a community of learners across geographical boundaries. 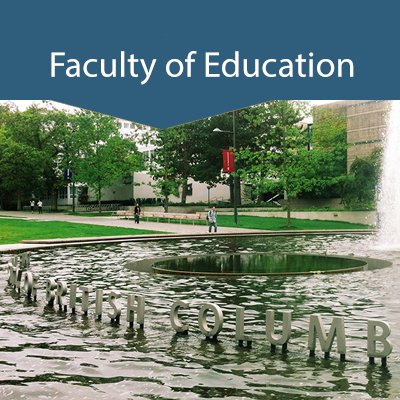 The UBC Master of Educational Technology (MET) is a fully online graduate-level program offered by a world-renowned university, that has attracted students from over 35 countries. A truly international program. A self-guided, fully online, classroom ready, modular mental health curriculum resource. Mental health literacy is the foundation for mental health promotion, prevention and care and can be successfully implemented through classroom based curriculum interventions that have been scientifically shown to improve mental health related outcomes for students and also for their teachers. A Canadian-developed, nationally and internationally-researched resource, the Guide – previously delivered only through face-to-face training – is now available online through this UBC-supported program. In this course, educators will learn how to apply this classroom-ready, web-based, modular mental health curriculum resource (the Guide) as well as upgrade their own mental health literacy. 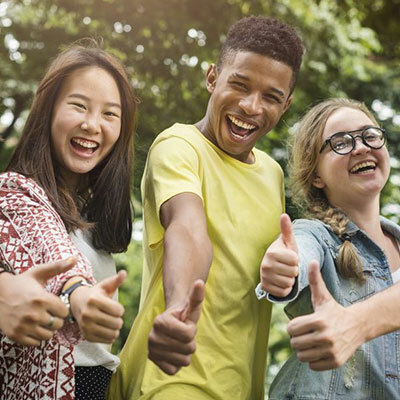 Educators can then use this curriculum resource in their schools to successfully address mental health related curriculum outcomes designed to be delivered by usual classroom teachers to students in grades 8 – 10. This course will help you envision how Indigenous histories, perspectives, worldviews, and approaches to learning can be made part of the work we do in classrooms, organizations, communities, and our everyday experiences in ways that are thoughtful and respectful. In this course, reconciliation emphasizes changing institutional structures, practices, and policies, as well as personal and professional ideologies to create environments that are committed to strengthening our relationships with Indigenous peoples. For educators, this means responding to educational reforms that prioritize improved educational outcomes for Indigenous learners. In addition, educators must support all learners to develop their knowledge and understanding of Indigenous people’s worldviews and cultures as a basis for creating equitable and inclusive learning spaces. To support these goals, teachers, administrators, young people, school staff, and researchers will learn from Indigenous Elders, educational leaders, and culturally relevant learning resources as part of their experiences in this MOOC. For others who want to build their own competence and the capacity of those around them to engage in relationships with Indigenous peoples based on intercultural understanding, empathy, and respect, this course will help get you started in this process.